Learn what you need to know about choosing the best CPU for gaming in this beginner-friendly buying guide updated for the current 2018 market. 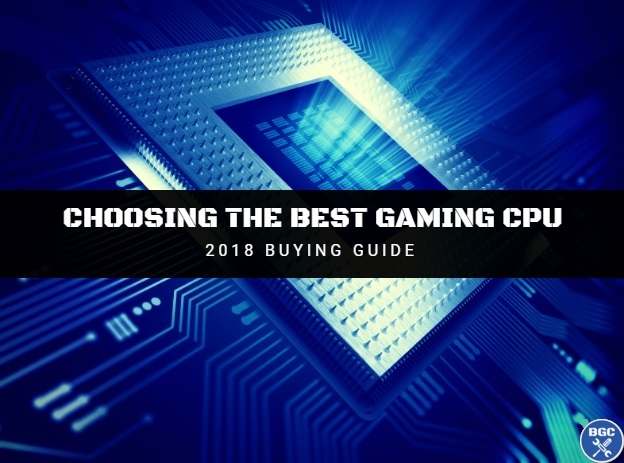 Picking the right CPU/processor for your custom gaming computer build or upgrade can be quite confusing with the many varying models, specs and CPU features, but with this simplified buying guide by your side we're here to help make the selection process a little clearer. We'll explain any details that matter when it comes to choosing the best CPU for gaming, whilst discarding any fluff you don't really need to know as a beginner, so you can more easily make a wise purchasing decision that fits your gaming requirements and budget and get to the fun part sooner rather than later: actually building your new gaming computer. Having a good gaming CPU is fairly important as a gamer and you'll want a fast-enough model that doesn't get in the way of your gaming video card doing its thing. However there is definitely the possibility of overspending when buying a CPU as most gamers won't need that much processing power. What is a CPU? How Much Does it Matter for Gaming? Intel vs AMD: Which is Best for Gaming in 2018? 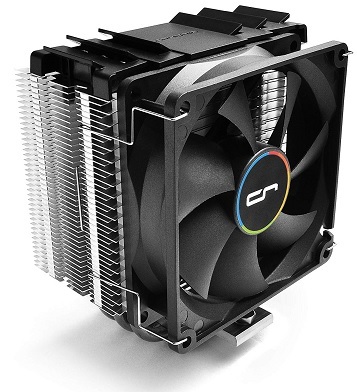 Is the Stock CPU Cooler Enough for Gaming? So what exactly is a CPU anyway? The CPU (Central Processing Unit), also called the processor, is one of the most important components in any computer, and what you could consider the brains of your system. It's responsible for making all the quick mathematical calculations that your games and other programs rely on, and the power of your gaming computer's CPU will have a direct correlation with overall gaming performance. It's the second most important component in a gaming PC, only trailing the graphics card in its influence on your frame-rate. So with that said, when upgrading or building a computer for gaming you want to get the best CPU that you can afford, assuming that you've saved aside a similar or larger chunk of your overall PC budget to a good (or great) graphics card. However, while you do want the best CPU possible for gaming, there is a point of diminishing returns where you may be better off skipping on a high-end CPU (for a mid-range CPU) and allocating that extra money you would have spent elsewhere in your parts-list. Building a PC is a balancing act. I guess we should get straight to what you're probably wondering as a beginner - which CPU brand should you choose for a gaming computer in 2018? 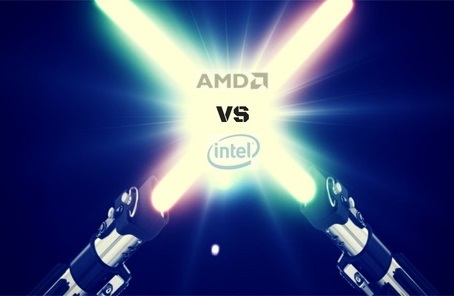 Intel or AMD? Good question, Padawan. Let's discuss, however if you're looking for a straight answer brace yourselves for disappointment as some things in life just aren't as simple as a black and white, yes or no answer (and may never be). Intel and AMD (Advanced Micro Devices) have long dominated the processor market and the constant, fierce, healthy competition between the 2 CPU technology giants who are always trying to venture new territory to undo one another leads to a field that's generally pretty even in terms. That's all well and good, but which between AMD or intel is going to give you the best gaming performance, highest frame-rate, and best overall bang for the buck? The answer to the confusing and never-ending battle between the 2 CPU giants is and will probably always be the same - it depends. Not exactly what you want to hear if you're a beginner just wanting to know what's best to buy for your PC, but we're here to tell you what you need to know and not just perhaps what you want to hear. It would be easier for us to even say one or the other is clearly the better pick most of the time, but it's just not the case and choosing between an AMD or Intel chip for a long-lasting modern gaming PC will depend on various factors including the particular games and applications you want to maximize performance for, your CPU budget, current conditions of the CPU market, and perhaps needing a CPU with certain features (we'll explain which CPU specs matter to gamers later on in this guide). However, we will say this: when it comes strictly to gaming performance and gaming performance only, history does tell us that Intel usually wins ever so slightly on average when it goes head to head with a competing AMD chip in the same tier. That's not to say AMD can't be a great choice for gaming, though, and just to confuse you what we just said doesn't necessairly make Intel a clear gaming favorite because of the fact that AMD CPUs of the same tier as Intel are usually a tad cheaper. So you could say that AMD favors the budget gaming crowd a tad more whereas Intel leans a little more towards those who simply want the most power and are willing to pay a bit more for it. But at the end of the day choosing Intel vs AMD for gaming PC builds comes down to the current state of the market, the current models that are out, how they stack up against each other, and of course current pricing which changes fast. See our always-updated best gaming PC builds for the money for our current opinions on whether you should go with AMD or Intel at any given moment, as we usually explain why we choose Intel or AMD for a particular build tier. Are Ryzen CPUs Good for Gaming? Ask a general question and you'll get a general answer: yes. Ryzen CPUs are AMD's latest range of CPUs, with the second generation Ryzen models having just been released earlier in 2018, and they are generally good gaming CPUs. 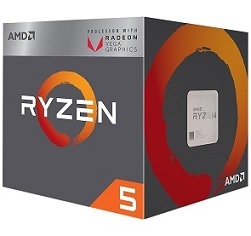 They come in cheap (Ryzen 3), mid-range (Ryzen 5), and high-end (Ryzen 7) variants. However, whether they're the best CPU for gaming or not depends on current pricing and which price tier you're looking at, because when it comes to pure gaming performance Intel will usually slightly win with all other factors being equal. But Ryzen's are great multitasking and production CPUs as well, so you've got to factor that into account as well. Meaning, if you're not just gaming but gonna be running other highly demanding applications, they could be a great choice. Although to confuse you further, Intel have great multitasking CPUs, too. 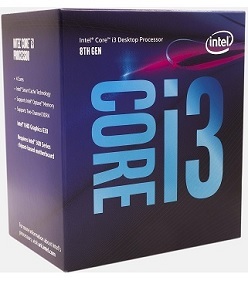 Are i3 CPUs Good for Gaming? 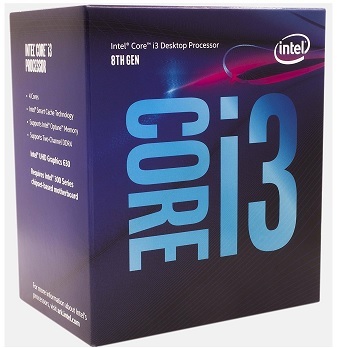 Intel's Core i3 range of CPUs are aimed at gamers on a budget, though they still pack a decent punch and there are lower-tier CPUs than this. Generally speaking, we do recommend them for cheap gaming computers under $400-600 or so. Although it must be said that a budget Ryzen processor is also a good choice. But if you're doing CPU-heavy tasks like video editing, streaming, or high-end gaming, then you'll want to ideally step up to an i5 or Ryzen 5 instead. 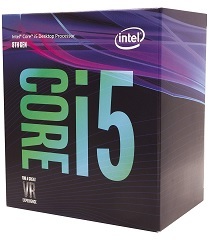 Are i5 CPUs Good for Gaming? 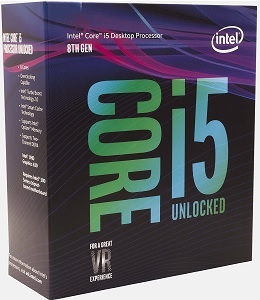 An Intel Core i5 is usually an ideal choice for gamers wanting the most value for money to both maximize their gaming performance but not overspend, either. They are very capable CPUs, and whilst in the grand scheme of the CPU world they are considered mid-range processors, for modern gaming they are all you need (there are way more CPU-heavy applications out there than games). 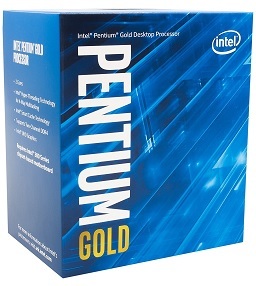 As with any processor type there are various model numbers to choose from, with the popular ones for gaming being the i5 8400 and the i5 8500 (for non-overclockers), and the i5-8600K or newer 9600K for those either overclocking or keeping it as an option in the future. Learn more about overclocking here, but just now that's not necessary at all, and not generally recommended for first-time PC builders anyway. 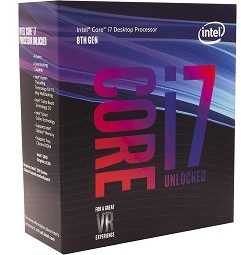 Are i7 CPUs Good for Gaming? 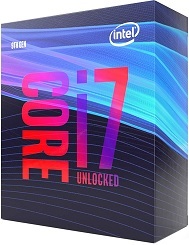 The Intel Core i7 range is the high-end market for gamers and what you should get if you want the absolute best CPU for gaming for the money. But an i7 is definitely not necessary to maximize modern gaming in most situations (assuming you have a good enough gaming video card), as an i5 is all you need to do that. 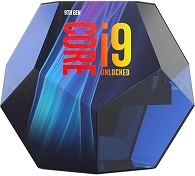 You should only get an i7 if you have the money to spend and want the best of the best (excluding Intel's extreme CPUs such as the i9 range, which are overkill for gaming) to last you as long as possible. Or, if you have unusually high needs as a gamer, for example when trying to get super-high frame rates such as 144FPS+ for use with high-refresh rate monitors, as in these instances a beefier CPU is going to help (and may be a necessity, infact). But for most gamers, an i5 (or Ryzen 5 if you're going with AMD) will do just fine for a super-smooth experience. This is the type of CPU, and will need to be matched against the socket type of your motherboard. In other words, if you decide to go with an AMD Ryzen CPU, they have a socket type of AM4. Therefore, you'll need to get an AM4 motherboard. For the latest Intel i3s, i5s, and i7s, they all have a socket of "1151", so you'll need to get a motherboard that mentions socket "1151" in the model number/specs sheet somewhere. The stock speed that the processor runs at, measured in GHz. Not the only factor, but a good baseline of how fast a CPU is. However, when choosing the best CPU for gaming, you should not confuse yourself with having to compare clock speeds of different processors, as you're better off (to stay sane and for practicality) just comparing CPU benchmarks in various gaming situations if you want to compare different CPUs. What Are CPU Cores and Are They Important for Gaming? CPUs have varying amounts of cores, which are basically like microprocessors within a processor allowing for a CPU to run more efficiently and multi-task better. 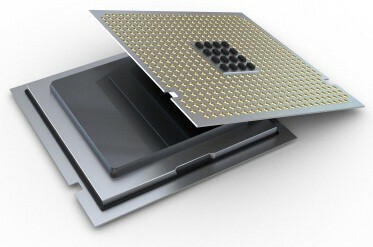 A CPU with 2 cores is called a dual-core processor, 4 cores is quad-core, 6 cores is hexa-core, and 8 cores is octa-core. For gaming, cores aren't all that important as most modern games don't utilize many, and all you need in 2018 is either a good dual or quad-core CPU as a baseline. Anything more than that isn't necessary for gaming and just an added luxury, although for other more CPU-heavy applications the amount of cores becomes more important. Whilst a core is the physical hardware that does the processing, a thread is a single line of commands that a core works on, with each program/application having at least the 1 thread. Normal CPUs can have one core only work on the one thread at a time, whereas hyperthreaded CPUs can work on up to two threads per core which generally means faster multitasking performance. Is Hyperthreading Helpful for Gaming? Not really. As for 2018, most games do not take much advantage of hyperthreading (ie extra threads) so it's not a must-have feature for a gaming PC build. Having extra cores, threads, and hyperthreading technology is important for more CPU-heavy applications, but not so much when it comes to a typical modern gaming experience. So don't worry about hyperthreading when choosing the best CPU for gaming. A locked CPU means that the clock speed is set and can't be changed by overclocking, whereas an unlocked CPU is, you guessed it, an overclockable CPU. 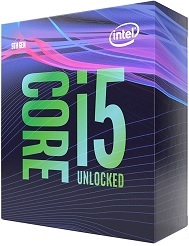 Unlocked Intel processors have a "K" in their model number, such as the Intel Core i5 8600K. AMD don't have this naming system, but most of their CPUs are unlocked. If you want to overclock your processor, or plan on potentially doing later on, then you'll need an unlocked model. However, if you're not overclocking, which is what we'd recommend to first-time PC builders and hardware beginners in general, you can get either a locked or unlocked model as locked CPUs can still be a good buy even if you never plan to overclock. CPUs have varying amounts of what is called cache memory, which is memory that stores information your CPU will likely need next that it can quickly and conveniently access for better performance. If that doesn't make sense, no worries at all, as it simply does not matter when choosing the best CPU as you should just be comparing models (and not minutia) as mentioned before. The best CPUs produce quite a bit of heat when put under load and require high-performance cooling in the form of a heatsink and fan. Most processors come with their own stock CPU cooler (which consists of a heatsink and fan) so in that case you're not required to buy your own CPU cooler, which is technically known as an aftermarket CPU cooler (as in, it's not an Intel or AMD cooler). Although keep in mind that some processors do not come with a cooler, such as Intel's "unlocked" processors such as the i5-8600K which are meant for overclocking and will therefore require an aftermarket cooler. Speaking of overclocking, if you're gonna be delving into that (for those who don't know it's basically when you manually increase the speed of your CPU past its stock speed to squeeze out more performance) then you'll need an aftermarket CPU cooler as your chip is going to produce a lot more heat when pushed beyond its normal stock-standard speeds. Even if you don't plan on overclocking your CPU, which isn't recommended for newbies to be honest, getting an aftermarket cooler (ie replacing the stock fan) may still be a good idea (depends on your specific build) to maximize cooling, increase the lifespan of your CPU, reduce noise as much as possible, oh and for looks as well - stock coolers can be plain/ugly and when you buy your own you can get one that fits your build's look and feel. Getting your own cooler is especially to be considered if you're getting an Intel CPU, as their stock coolers generally aren't as good as AMD's. However, if your CPU comes with a stock fan then you don't NEED to buy your own, and you could get away with using it to save money on your build (again, especially if it's one of the latest Ryzen stock coolers which are generally great), and you could just test out the stock cooler to see if your CPU runs cool and quiet enough for your liking, and then decide later on to get an aftermarket cooler (although it's a bit annoying having to uninstall the stock cooler and install a new one). Summary: If you're overclocking then you need to buy your own CPU cooler, otherwise you can either use the stock cooler (if your CPU comes with one) or just get your own for maximum performance. * No CPU cooler is included with the 9600K so you have to buy your CPU own cooler. In the high-end $300 to $450 range, the best CPU for gaming right now without a doubt is the Intel Core i7-9700K. 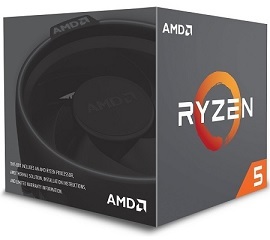 The AMD Ryzen 7 2700X is a good choice in this tier as well, especially if you want to save money because it's way cheaper than the i7-9700K (and comes with a good stock cooler so no need to buy one), and even more so if you value getting the best multitasking performance, but an i7 is the better overall gaming CPU and will get you a higher framer rate. * No CPU cooler is included with the 9700K so you have to buy your own cooler. Spending this amount on a processor for gaming is overkill for the far majority of builders (99% of gamers don't need this power) and would only be worth it if you're playing demanding games in a really high refresh rate like 240Hz for instance, where you aim to get a crazy 240FPS which not only taxes your gaming video card but your CPU equally as much. 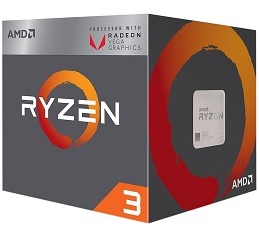 Another reason to get an extreme CPU with a huge price tag would be if you're wanting excellent workstation performance such as when building a hybrid gaming and video editing computer, but if you're doing that then do consider a Ryzen Threadripper as well as they may perform better in your particular applications. See our current best gaming PC builds to see these gaming CPUs in action in a fully compatible, ready to go custom computer example, which include our current top recommended CPU coolers for the processor that don't come with a stock cooler (ie the i5-9600K, i7-9700K and i9-9900K).